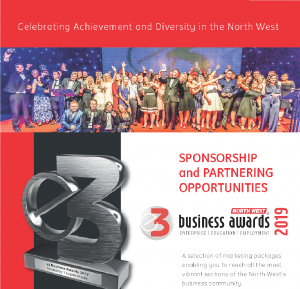 The E3 Business Awards are FREE to enter and open to any entrepreneur, privately owned business or social enterprise located in the North West. Nominations are now Open and Deadline for Entries is Midnight, Wednesday 24th April 2019. Click on the different award categories to learn more about the Judging Criteria and to download the Nomination Entry form (editable PDF’s). Calling all North West entrepreneurs. Have you had a good idea and developed it into a viable business proposition, and are you now reaping the benefits? We want to hear from small businesses with big ambitions – after all, every multinational corporation had to start somewhere, and small businesses make up a significant percentage of the UK business population. Your importance to the economy cannot be overstated. Download Nomination Entry Form. Company has been trading for less than 18 months (as at 24th April 2019). Application of innovative thinking in business planning and management. Evidence of recognising and acting upon a new market opportunity. Strong potential for future growth and sustainability. This award recognises an organisation that has achieved outstanding results through key initiatives that demonstrate leadership and commitment to excellence in corporate social responsibility. Download Nomination Entry Form. A strong internal commitment to social responsibility. Evidence of having made a positive impact on the environment, a local community or society at large. Benefits provided as a result of delivering CSR. This award is open to any registered charity based in the North West. Download Nomination Entry Form. Evidence that the charity’s work meets a real and pressing need. Clear evidence and examples of making a positive and worthwhile impact on society, individuals and/or the environment. Evidence that the charity is doing something that other organisations are not, or that its approach is especially effective. Evidence that the charity has a clear and reasoned strategy for sustaining its work in the long term. This award is open to any charitable organisation or a community/social enterprise with a social purpose and/or a not-for-profit basis. Download Nomination Entry Form. and/or meets its own primary objectives. Examples of positive impact made on society and/or the environment. Evidence of making a positive impact on the lives of individuals, particularly by helping vulnerable and/or disadvantaged individuals to help themselves. Projects that have the potential for future development, growth and sustainability. This award will be given to the company that most effectively demonstrates excellence in its approach to workforce development. Entrants will be asked to demonstrate why workforce development and training is important to the organisation, how training needs and skills requirements are assessed and the direct benefits enjoyed by both individuals and the organisation. Download Nomination Entry Form. Demonstrable success through the endeavours of employees. Encouragement of participation at all levels. provided resources and acted upon suggestions. Evidence of Investment in Training. The winner of this award will be much more than a good employer. Development and improvement of its people will be key to how the company is run and how it communicates and develops partnerships with its customers and suppliers. The winning company will have key human resource polices in place including skills and knowledge learning, equal opportunities, engagement and staff satisfaction. It will have introduced innovative policies to aid staff attraction and retention. It will be able to demonstrate continued success in its employment policies and benchmark progress against industry best practice. Download Nomination Entry Form. Evidence of a company-wide employee service commitment. Evidence of a clearly communicated Human Resource policy. Examples of in-company awards, staff recognition or recommendations. A proven impact on commercial performance from investment in people and a collaborative culture. This award is looking for any company that has extensively used the internet to increase its sales and profits. We are looking for organisations that have effectively used technology to create a significant and exploitable advantage in their chosen field. This may include online presence, mobile, social media and virtualisation. Download Nomination Entry Form. Percentage of sales achieved via the company’s website must be submitted. This figure must be 75% or more. Evidence of significant growth in the company’s market sector. Number of unique users per month must be submitted. Evidence of achievement and performance that makes the business stand out from its competitors. This award is open to any business or entrepreneur operating in the digital, creative or media industries. This covers a broad span of different business types and disciplines, ranging from agency projects to in-house campaigns. Essentially, we are looking for modern, forward-looking professionals who are delivering notable commercial success. Download Nomination Entry Form. Evidence of expertise in digital, creative or media technologies. Demonstrate any notable ways in which technical excellence and/or innovations has delivered commercial success. Evidence of achieving positive sales, improved market share and/or higher profits. This award identifies and celebrates entrepreneurs, aged 30 or under (as at 24th April 2019), who are really going places. The judges are looking for candidates who have already started to build a business (or businesses), and who can show they have the ambition, energy, skills and vision to really scale the heights. Download Nomination Entry Form. The track record of the candidate in starting and running a successful business or businesses. A well thought-out concept behind the current business together with the robustness of the business model. The performance of the current business including sales and profit growth. This award will go to the woman who can demonstrate the most striking track record of managing or leading one or more successful businesses. Download Nomination Entry Form. Evidence of being an inspirational, passionate and dedicated business leader. Qualities that make the individual an excellent role model for aspiring managers and entrepreneurs. Evidence of achieving outstanding success. 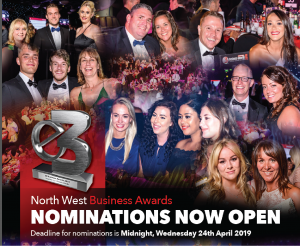 This award has been created to celebrate the North West family business sector, to recognise the diversity of family firms across the country and to celebrate the contribution that they make to the North West. Download Nomination Entry Form. Evidence of how many family members currently work in the business. Evidence of investment in training and personal development of family members / employees in order to maintain or improve the success of the business. Evidence of significant growth and innovation in the company’s market sector. This award is for businesses operating in the financial or legal service sectors. Download Nomination Entry Form. Examples of in-company awards or recommendations. This award is designed to reward exceptional standards of customer care and to promote these success stories as examples to the industry. Download Nomination Entry Form. Demonstrate a company-wide customer service commitment. Evidence of a clearly communicated customer service policy. Good customer care, which has generated repeat business. This award is specifically designed to recognise excellence and best practice in the region’s manufacturing sector – not only in terms of internal operations but also in terms of processes that involve customers and suppliers. Download Nomination Entry Form. Sales performance and growth prospects. Product development, manufacturing innovation and the efficient use of technology. Investment in people and equipment. This award recognises demonstrable growth in revenue and profitability through strong organic development. The winning company will have seen its sales-led strategy produce real results in the marketplace and, most importantly, it will have a robust development strategy in place to build on current successes in the years ahead. Download Nomination Entry Form. Significant growth and innovation in the company’s market sector. Application of sound, innovative thinking in its planning and operational management. An excellent understanding of the market and of customer needs, coupled with the ability to recognise and act upon new opportunities. Are your horizons wider than the UK market? This award is designed to celebrate a company that has launched or expanded its non-UK operations in the past year. Your entry should demonstrate a detailed understanding of the target market(s). Download Nomination Entry Form. Evidence of versatility, imagination and persistence in exploiting target market/s overseas. Tactical ability in overcoming obstacles such as bureaucracy and exchange rates. Evidence of positive sales and market share performance. We’re looking for an outstanding business whose growth, ambition and quality of management has enabled it to out-perform its peers financially, and for a company that has delivered on a compelling business strategy. Download Nomination Entry Form. 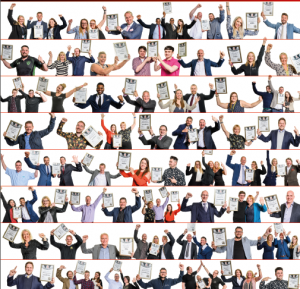 Evidence of out-performing peers in sales and profits growth. Evidence of creating new, quality jobs. Evidence of developing and training employees. Implementation of an innovative and compelling business strategy. Evidence of launching or successfully extending the product offering.